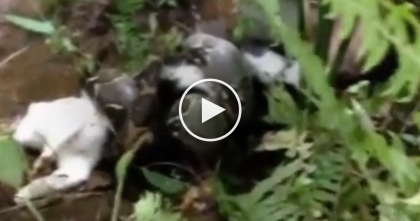 Listen to the sound when he puts his camera into a bed of kittens… Turn up your volume!! After just a few seconds of watching this adorable video, your heart will just melt to pieces – You’ve gotta make sure your volume is up to get the full effect, because this is probably the most relaxing sound you’ll ever hear! These adorably tiny cute kittens have the sweetest motors ever and the sound is so soothing it will put you to sleep in the cutest way ever – This is absolute bliss and these kittens are WAY too cute! 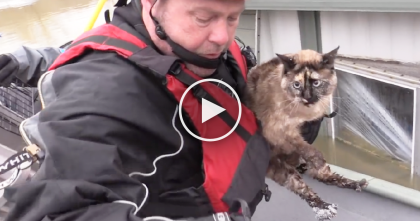 Be sure to watch till 1:10, one kitten decides to say “hello”… Just watch the video! 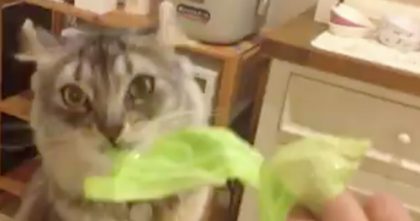 When His Human Is Making Food, Kitty Demands To Try Some Too… Hahaha, This Is FUNNY!! 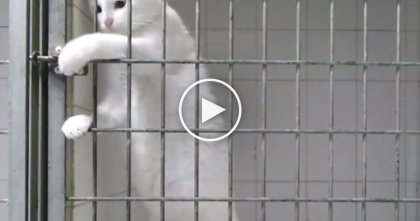 Watch What This Cat Does When He Wants To Get Out Of His Cage… I NEVER Expected To See This! 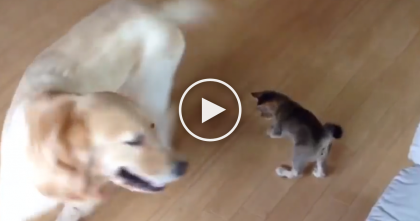 Kitten Notices Something In Doggie’s Mouth…Now Start Watching, THAT’S When The Fun Begins!